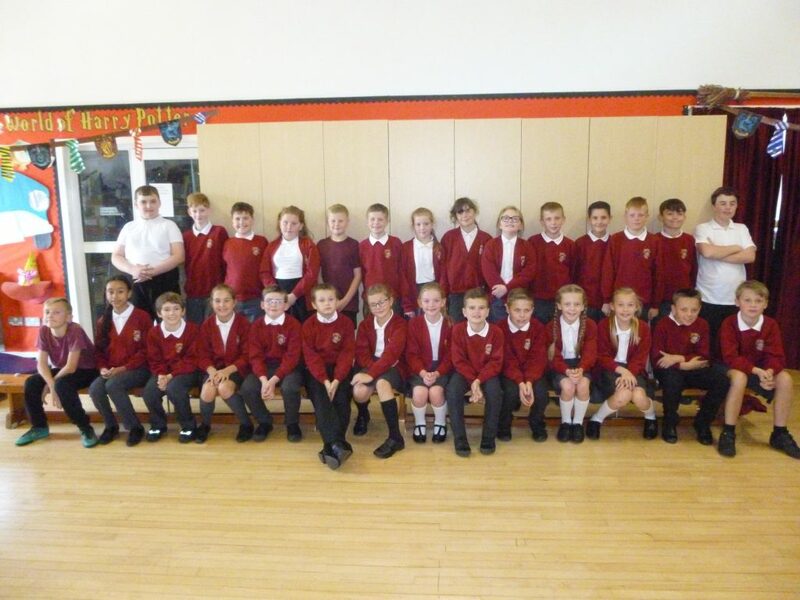 We are the children of Hillside Primary School – more specifically, the Year six children of Hillside Primary School. Even though Year six is a challenging year, it is the most exciting! We are a class who love learning at our school and by the end of this short text I hope you’ll be able to see why. The school motto, ‘developing the individual’ is important in Year six because it means that we are all individuals that take responsibility for our own learning. We do this by having a ‘growth mind-set’ which means we persevere, are resilient and work hard. We relish the prospect of ‘falling into the pit’ – a metaphor used to describe the point in a lesson in which we find ourselves struggling – because we know that this is when we learn. We see the journey in the pit and working our way out of it as a positive one which we all benefit from. The way we push ourselves is by choosing our own level of challenge (bronze, silver, gold) for work and we move through these levels to progress quickly. It is important that no one uses the phrase ‘I can’t do that’ in year six because all you have to do is keep pushing yourself and don’t give up – we all get there in the end! Being the oldest in the school, we are given certain responsibilities and we love to embrace these and be fantastic role-models for the rest of the school. Now less of ourselves, let us tell you about our teachers. In year six we have a range of fabulous teachers who listen to our opinions and help us: Mr Frost, Mrs Wainwright, Miss Davies and Miss Carr. Mr Frost is our class teacher. Mrs Wainwright teaches some of us maths and English during the mornings. In addition, Miss Carr and Mrs Davies take some groups out in the afternoon to support us even more in our learning. All of them are friendly and willing to help us when we’re struggling. The work is harder in Year six but a lot of it is fun! Outside of maths and English, we learn about the Mayans, The Victorians and the Vikings! We also have some interesting ‘authors of the term’ this year including Charles Dickins and C.S. Lewis but we also look at the books of some other authors such as ‘Street Child’ by Berlie Dougherty and ‘The Mysteries of Harris Burdick’ by Chris Van Allsburg! To enhance our learning with our topics we go on some exciting trips which includes Blist’s Hill Victorian Town and Manchester Museum of Science and Industry. In all honesty though, it’s the week residential at Stanley Head we really cannot wait for! Oh and did I forget to mention the visit to Alton Towers for a day in the Summer Term? I’m sure now you can see why our final year at Hillside is an exciting one!